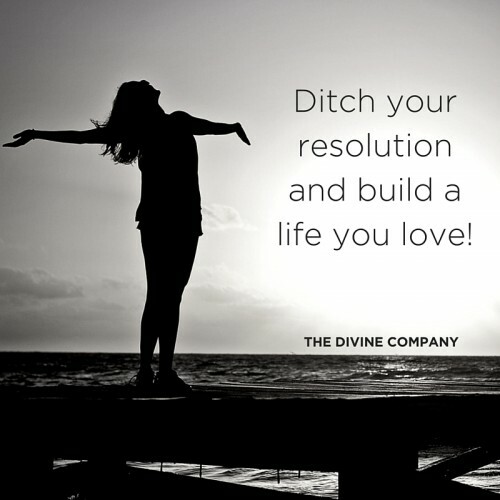 Ditch Your Resolutions and Build a Life You Love! With the new year comes the inaugural opportunity to reflect on how our lives are tracking compared to our wildest hopes and dreams. Either taking a look at the year that has been or looking ahead to what we hope the new year will bring, setting a resolution isn’t always the most effective mode for lasting change. Instead of setting resolutions that are restrictive and hard to keep, making small sustainable changes can lead to a new lease on life that lasts more than a couple of days. We’ve combined our all time favourite offerings for drastically altering your life. This very moment is an opportunity to create a life you fall in love with. Calming the mind helps you to make smart decisions that ultimately form your life. We manifest most powerfully when we hold a high level of presence, so the more you get centred the easier you can manifest the life of your dreams. 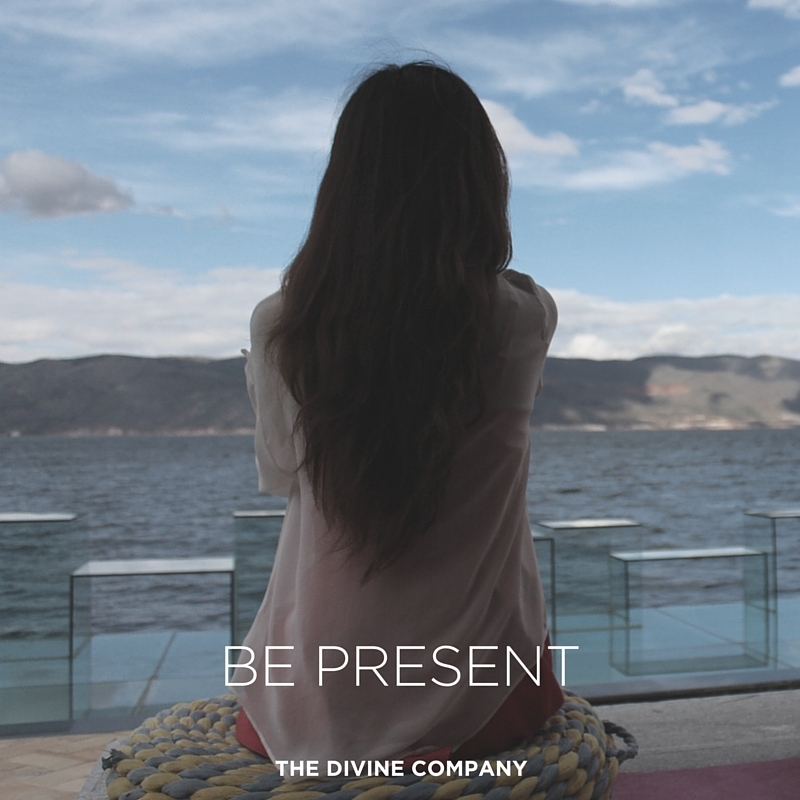 The easiest way to get present is to focus on your breath. You don’t need to close your eyes, but it helps if you do. Start by inhaling deep into your stomach, feeling the cool air travel through your nose. Draw this process out for as long as possible, but nothing too forced or unnatural. Exhale, feeling the sensations of the warm air leave your body. Repeat until you have cultivated mental clarity and calmness and sit in this feeling of tranquility. You can do this simple breathing exercise whenever you are feeling uneasy, you simply need a little clarity, or perhaps some answers from within. Building up to a regular meditation practice is one of the most powerful things you can do for your health and wellbeing. Along with being present, making decisions that actually benefit YOU will completely alter your life. More often than not, we base our choices off of what we think others will like, or what will make us look the best (especially in our era of social media laden lives). We can become so disconnected with what we actually like to do, that we turn around at some heart stopping moment and realise we have built a life entirely not suited to us (cough cough.. mid life crisis anyone?). Adopting a mantra of “what choice is in my highest good” when making decisions will produce some pretty unexpected answers if you’re brave enough to hear them. You can use this mantra for big life decisions such as choosing a career path or deciding to go travelling or not, right down to the every day stuff like choosing what to eat for lunch. It might seem unnatural at first, but the more you consult your higher self, the easier and more rewarding it gets. Slowly making small changes is going to be more achievable than making drastic resolutions that are restrictive and set you up for failure (4am binge eating epidemic, anyone?). For example saying ‘I’m not eating chocolate anymore’ (that’s just torture!) to saying ‘ I’m going to only eat chocolate twice a week’ is a better way to ease into improved eating habits. No change is too small, so although it might seem like you aren’t doing enough to make a difference, these small commitments all add up to a sustainable new you. Love yourself by valuing your health and always putting it first. Your physical, mental and emotional health are integrated and interdependent – there are no short cuts here. Combine a Certified Organic lifestyle with loving thoughts and a positive outlook and you have a beautiful recipe to thrive and live a life you fall in love with. So put on those rose coloured glasses and weld them to your face – they ain’t ever coming off! 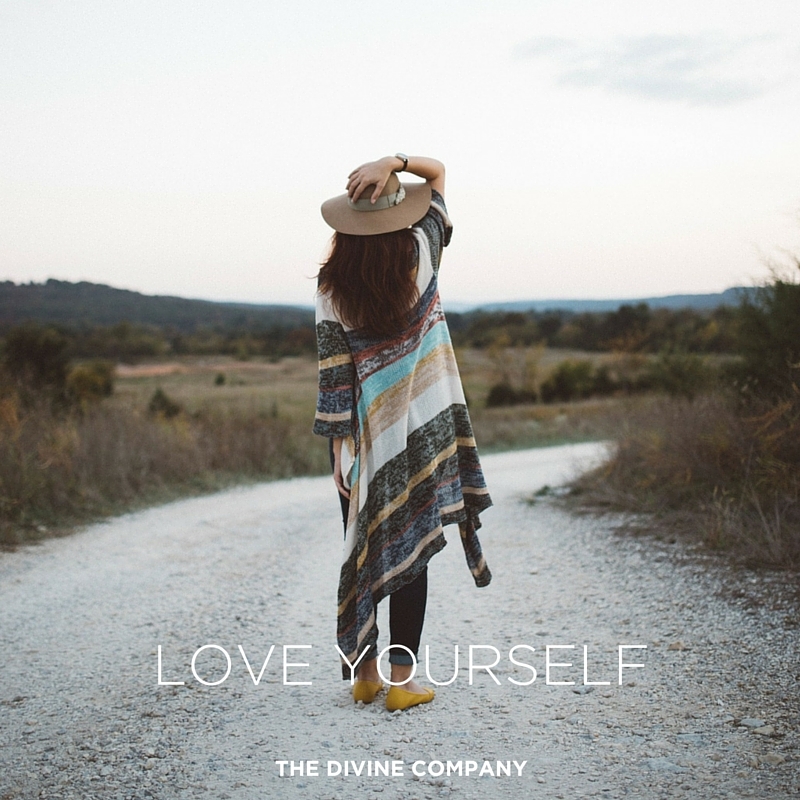 At the Divine Company, we know how powerful a mantra can be. Adopt one that feels natural to you, but one of our favourites for cultivating self love is “I am enough”. So simple, yet so powerful and it translates easily to all areas of your life. Repetition is key, soon it will feel like second nature and you will exude self love and confidence to the world around you. Leave a comment below Beautiful, with your experiences of the above tips. We can’t wait to hear how it works out for you! 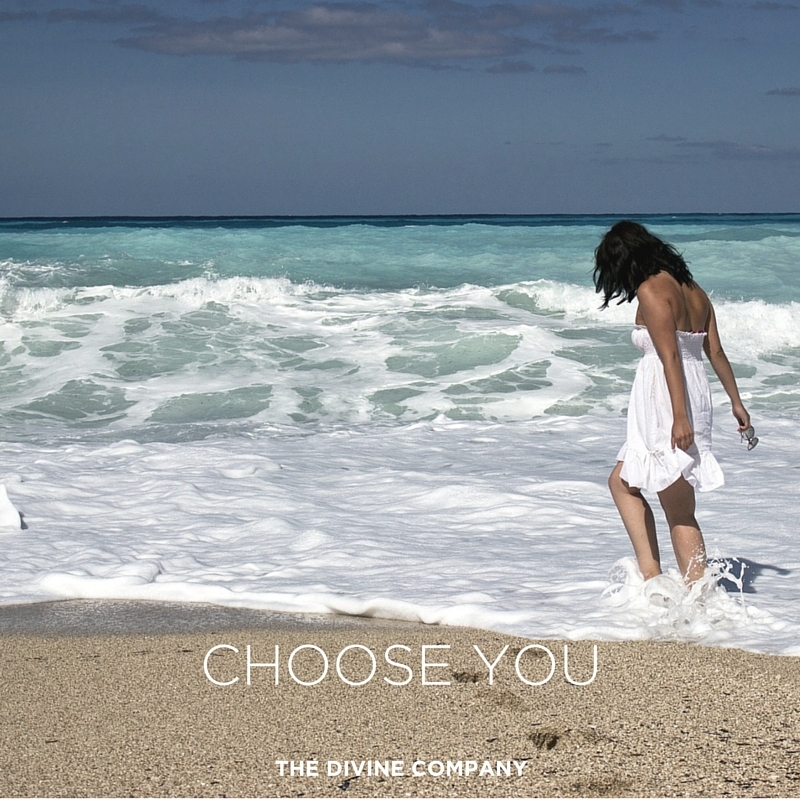 You are Divine. This is exactly what I needed to read. Wise words indeed!!! I immediately shared this post on my fb timeline after reading it! Sound advice!